Birth Visuals will provide you with both audio and dialogue to assist you and your birth coach in the labor process. These very powerful visioning tools will help focus your attention to manage pain, guide your thoughts, and give you encouragement during labor and birth. Specific instructions will be given to you on how to play your Womb Song in the hospital and creating a birth environment that suits your needs. Most psychologists, psychiatrists, and obstetricians agree that the birth experience is usually traumatic. Typically, babies demonstrate their distress by alternately crying vigorously and then sleeping. We hypothesize this behavior to be an avoidance reaction to the foreign, stressful stimulation from the outer world. After birth, many continue to show biochemical signs of stress for six weeks and longer. In fact, it is theorized that the level of stress and anxiety experienced during birth sets the pattern for the manner in which anxiety will be experienced and handled throughout life. Calming crying baby during the adjustment phase of 0-6 WEEKS is often the most crucial part of raising a psychologically sound baby. 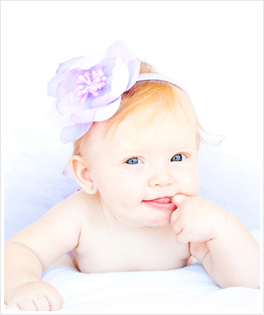 Understanding your baby’s needs and wants during this time is a fundamental aspect in adjusting and attuning to your baby. Calming crying baby with your Womb Song will allow your baby to transition to a new world with love and without fear. You will be given scientific and clear ways to make this transition as easy as possible for you and your family. So, choose your baby’s destiny! Commit to your baby and family that you are going to bring your baby into this life, minimizing future stress and anxiety! It All Starts With Love and Music. Copyright © 2019 Womb Songs. All Rights Reserved.